YOUTH ICE HOCKEY TOURNAMENTS IN THE CZECH REPUBLIC. We arrange participating not only for European ice hockey teams of all ages U10-U18 and all play levels. We have helped more than 520 ice hockey teams from 27 countries to come to the Czech Republic - since 1998. For example - year 2018 we have got 44 guest teams from 14 countries. More info about our guest teams you find under "Hockey References". 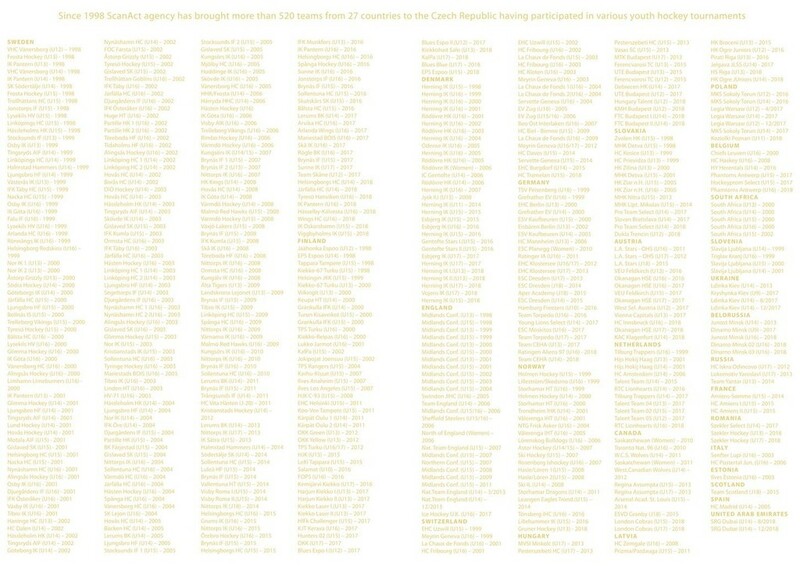 ICE HOCKEY TRAINING CAMPS IN THE CZECH REPUBLIC. We organize training camps for youth ice hockey teams of all ages and play levels. Nearly 100 teams from the Nordic countries, but also from France, England, Belgium, Switzerland, Germany and recently from Canada have played here since 1995. YOUTH ICE HOCKEY TOURNAMENTS IN SCANDINAVIAN COUNTRIES. 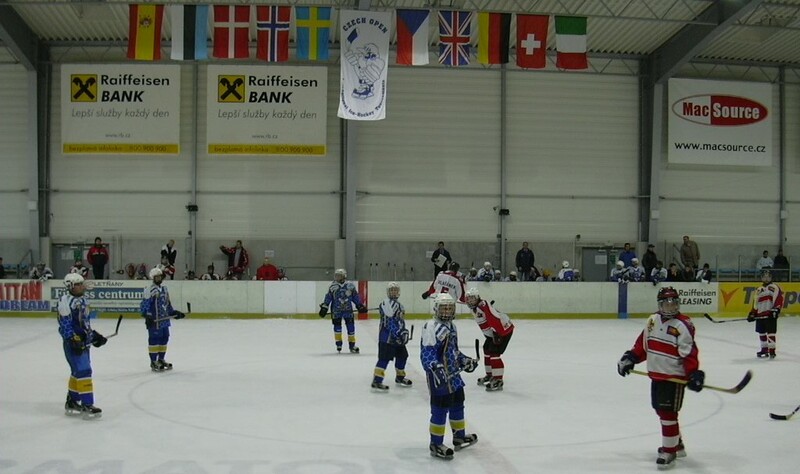 For European hockey teams we organize trips to youth hockey tournaments in Scandinavian countries. Nearly 100 European teams (from the Czech Republic, England, Switzerland, Germany, Austria, Russia, Latvia) have participated in Scandinavian tournaments in past 25 years. 25-YEAR EXPERIENCE = YOUR GUARANTEE!